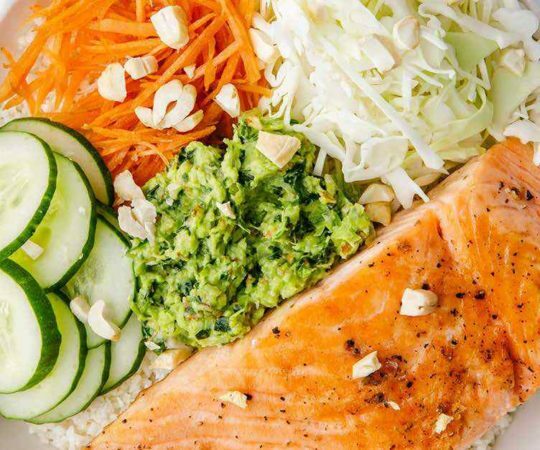 When you are searching for a healthy, light summer meal that will not take long to make, salmon is one of your best options. 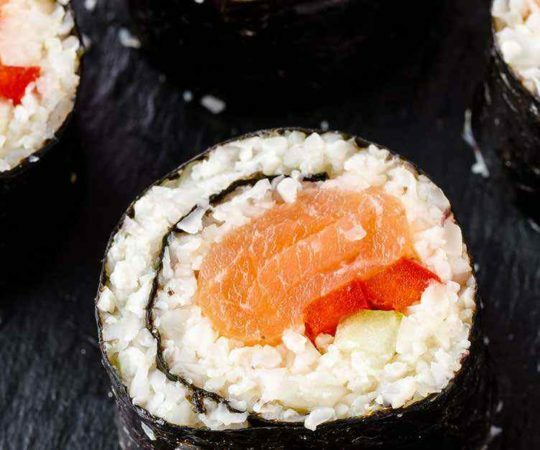 It can be cooked in less than ten minutes, and the high levels of protein and omega-3s that the fish provides are hard to beat. 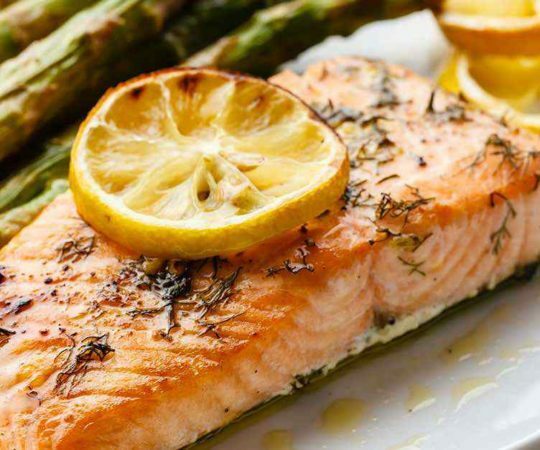 As in this recipe, marinating the salmon ahead of time ensures that there will be delicious flavor in every bite. 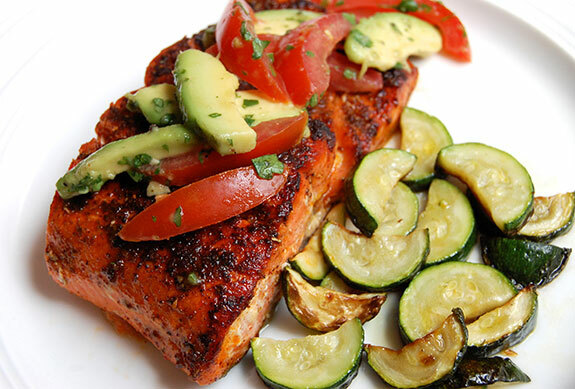 A variety of spices are used to make this blackened salmon. Basically, add a little of everything in your spice cupboard to the mix. Okay, perhaps not the star anise that has been sitting around for a year, but close to everything. Paprika and cayenne are the prominent spices, which help achieve the blackened effect. The end result will be a bit spicy so if you are not a fan of spicy foods, you might want to tone it down a bit. After the spices get rubbed into the salmon fillets, the fish should marinate in the refrigerator for at least an hour, or up to overnight. After the salmon is done marinating, all that is left to do is to throw it on the grill. If you feel that grilling fish can be tricky (since it has a tendency to flake and fall apart and all that) pan-searing the fish would also be fine. Always err on the side of undercooking the fish, because once it is overcooked there is no going back. 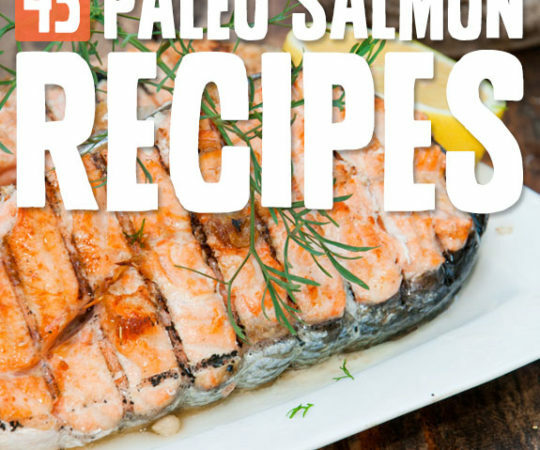 Salmon only takes about 8-10 minutes to cook, and then it is ready for the table. I decided on a tomato salsa to serve with the salmon mainly because it is the middle of tomato season, and eating fresh seasonal produce is always recommended on the Paleo diet. 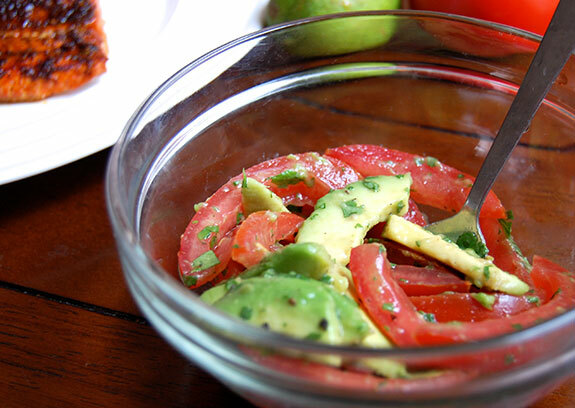 The salsa is a simple mixture of fresh tomatoes, creamy avocado, a bit of cilantro, and a dash of lime juice. 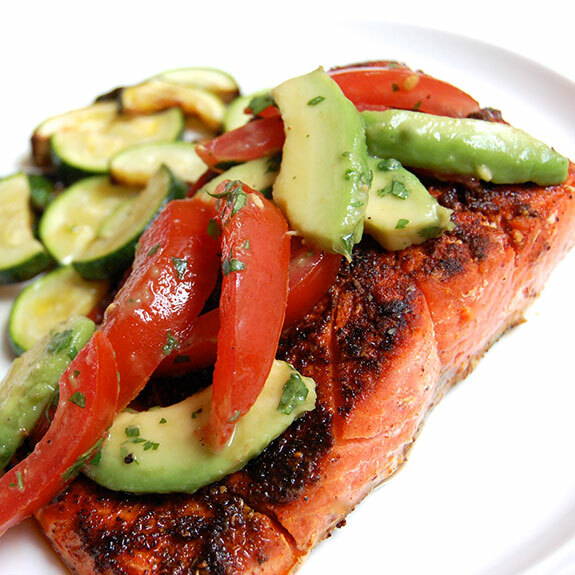 The salsa also helps to balance out the spiciness of the blackened salmon. 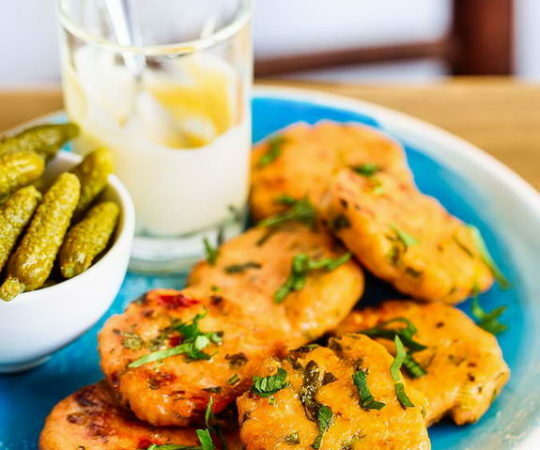 When hot summer days chase away the desire to prepare complicated dinners or spend hours over the stove, this recipe is highly appealing. One chopping board and a grill make dinner easy and quick. 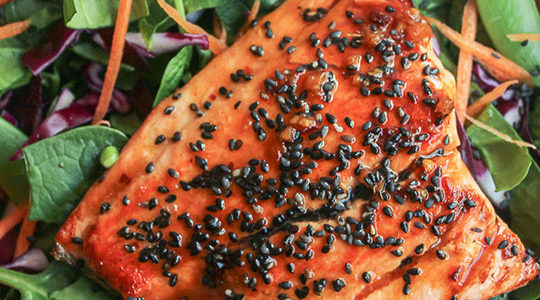 Enjoy the healthy benefits of salmon and the punch of flavor at the same time. Why would you use garlic powder, which has virtually no health benefits, when you could use crushed fresh garlic instead?